I thought I had a handle on the New Testament. I mean the general gist of it. Was I wrong! This series provided a really interesting historical perspective of the group of documents that have come to be known as the New Testament. The presenter, prof. Bart Ehrman, made the material much more enjoyable to cover as he has quite a personable and witty character, and this manages to filter through the technology of the audio format. He was always respectful of the fact that there are many millions of people whose religious life emanates from these texts. He never disparaged or criticized Christianity as a faith. Nonetheless, there is also a lot of myth-busting going on throughout these fascinating lectures. I found the course to be empowering, interesting and beautifully crafted. Thank you Bart. Well Presented. Easy for layman to understand. 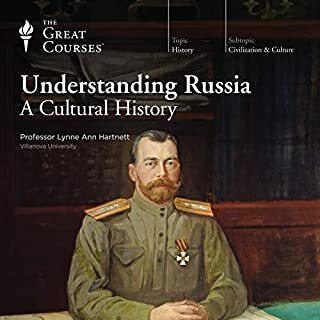 Great course from a very knowledgeable lecturer. 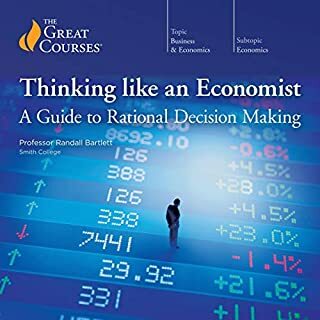 I learnt a lot from this course and would recommend it to a listener of any background. Historical context rather than religious context is very interesting. The information was great but most of the lecture was spent looking at discrepancies in what we consider the New Testament today. A better title would be "Finding the Original New Testament" or "Inconsistencies in the New Testament". All in all, it was really interesting, just not what I thought it would be. In what order were the Gospels written? What discrepancies are in the Gospels and why? Who the wrote the Pauline epistles? How can we tell who wrote these books? Ehrman is erudite and well-regarded among Biblical scholars. This work does not disappoint and I highly recommend this and other Great Courses by Bart Ehrman. Note: This work is from a historical-critical perspective, not a devotional perspective. It is academia, not religion. The narrator does a fantastic job of addressing a controversial subject with care. Keep in mind that this is a historical discussion of the New Testament, not a theological discussion. "critical review of the New Testament"
"Jesus should have said", " Paul meant to say" "or "if he meant this he should have said this" is too much speculation, when the narrator went out of his way to say how factual his analysis was. Would have preferred a title of "critical review of the New Testament". Overly calculated in his presentation. Would have preferred a " collective consensus " of what the writers of the New Testament wanted Christians to learn from the collection of books. I guess was OK but really focused much material on minutia vs substance of message. For a few years I have heard of Professor Bart Ehrman and wanted to hear for myself. After listening to this series I have to say that I am underwhelmed. Maybe if he were teaching a particular topic in depth it might make a difference but I’m not going to spend the time to find out. For anyone who already has a decent background in Scripture studies, you will hear a lot of what is already familiar but outside of that you will constantly be saying to yourself, “He’s stretching it there”. If you have no knowledge of the scope of Scripture studies you might be led to believe that his opinions are generally accepted without question when they are actually not. The main problem is that he makes so many leaps and presents them as if they are the accepted position of most or all scholars. Much what he says is basic scholarship, such as the Pastoral Epistles are most likely not authored by Paul, there are many variances, John is different from the synoptic Gospels, etc. You can get this basic information by reading any respected Bible overview. 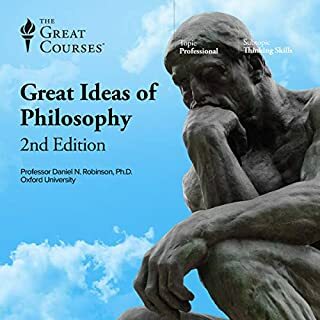 What is problematic is how he inserts his worldview, philosophy, and opinions into the text and passes it off as if should be accepted in the same vein as greater scholarship. I’ll offer one example of many: He assumes that Jesus was an apocalyptic Jew (granted, Jesus did often teach an apocalyptic message) who did not teach as a Sadducee, Pharisee, or Essene (Huh? He had clear elements of the last two and practiced Temple worship. He clearly wasn’t “just” an apocalyptic teacher.) who was pointing to a future Messiah to come who was not him (Huh? Then the clear references to Jesus being the “son of man”, the Church’s consistent teaching, and the historical patterns that Jesus considered himself the Messiah should all be ignored as a later “invention”?). Well, wait, what about when Jesus says, “The son of man will be delivered over, be crucified, and rise…” like he does in all three synoptic Gospels? He never mentions it. I’m thinking he would say that was “invented” by the later church. That’s my main issue. When something agrees with his overly critical worldview it is left unchallenged. When something might not, it is ignored or glossed over as “changed by the later church.” Why not come to a different conclusion that Jesus considered himself the Messiah, the disciples understood that and retold it as a sacred history, the New Testament writers had differences for various reasons (different communities, theologies, cultures, times, etc.) but all recorded Jesus as believing and being the Messiah, and the Church as a whole preserved and passed that down intact even if other sects strayed and some details changed. Why not? Not so controversial, provocative, sensationalistic, critical, novel, or new? Regardless of why Ehrman comes to his conclusions just be aware that they have many more hurdles than he would like the listener to believe. This is just one example of many. Another odd thing is that he throws in odd fundamentalistic Christian theology as if they are what Jesus or Paul taught. For example, he says Paul says “faith” is clearly defined as “trusting in the cross.” Again, this is an element of “faith” as Paul describes it as a whole but hardly complete. 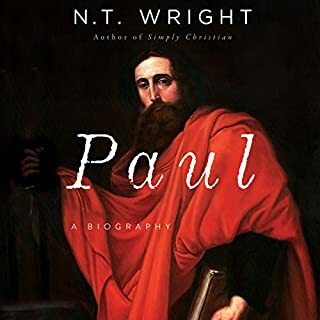 Boiling down faith to this minimum standard works in the early 1900s but it hardly explores the fullness of Paul’s understanding of "faith working in love" in first century Christianity. On the other end of the spectrum, I was surprised by how black and white he was about theories that are either complex or ones that had varied possibilities. He did offer some additional theories at times but usually only the safe ones that kept his perspective firmly in place. So here is his basic theory: Jesus was an apocalyptic Jew who never claimed to be the Messiah. After he died people claimed to “see” him. The church was so chaotic that they could not have preserved any real or accurate history of Jesus so they created his divinity and Messiahship. All that can be known of the Historical Jesus is what is discovered by skeptical literary methods combined with a secular worldview. Paul “saw” him and made up another belief system that was in some ways similar but essentially different from the other disciples and churches. Paul taught that there wasn’t a participation in the Kingdom until Jesus came back. 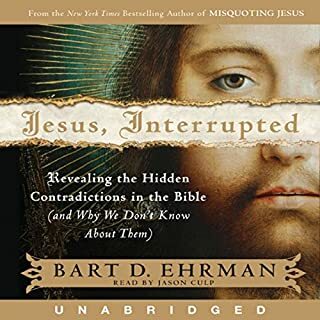 The New Testament varies so much that it isn’t reliable for an accurate historical assessment of who Jesus really was and taught… but Ehrman somehow is because he has these great modern insights! This is the worldview he reads back into the New Testament. For a balanced study, this is not a good starting point. I was continually waiting for a legitimate insight. There were a few. What I found too often was a professor who shaped his teaching around his personal beliefs that were revisionist and secular while at the same time maintaining a fundamentalistic thread. 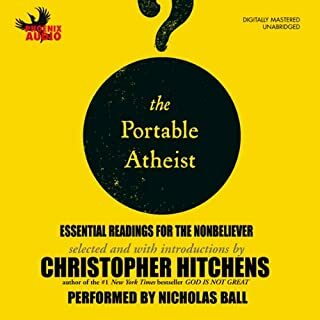 If you do listen to this series, don’t think that it is the last word or a balanced take. 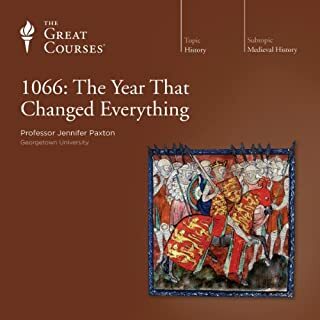 Luke Timothy Johnson has a series that does a much better job of presenting current scholarship while alerting the listener of his personal opinions. 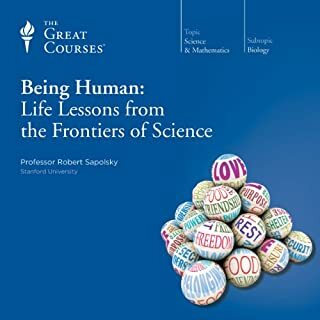 I've worked through Ehrman's textbook on this subject and bought this audiobook so that I could spend found time supplementing that work. 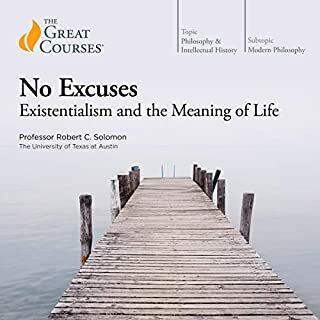 I respect his scholarship, but in the audio version he offers constant commentary on which arguments and details he finds unconvincing about the Christian narrative and why, reducing a lot of the middle chapters to anti-Christian polemics and little else. Some of his positions can justify both disbelief and belief depending on how you look at them, but he doesn't go into other perspectives. I was disappointed, but I won't mark more than a few stars off the review just because I do respect him when he's doing actual scholarship. Bart Ehrman is my favorite writer on New Testament topics, and fortunately he is also an engaging teacher. The result here is a first-rate introduction to the history and content of the New Testament. Of particular interest are his account of the four gospels and his interpretation of Revelation (which he sets firmly in the context of Roman history). I've read a lot on this subject over the years, but Ehrman always manages to surprise me with new information or incisive analysis. 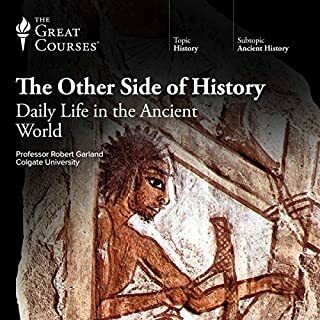 Depending on what you're looking for, this may be an excellent addition to your library; but you should note that Ehrman is writing as an historian, and his approach is more skeptical than some people of faith will be comfortable with. I agree with other reviewers who have suggested this course could be more accurately titled to express that it's primary focus regards "analyzing the New Testament" or "a critical review of the New Testament." It's a great lecture series, but I think perhaps Ehrman or another lecturer could do a series that more comprehensively reviews the narratives and scope of the New Testament books without making the primary focus poking holes in biblical literalism. Let me be clear though: Ehrman is excellent and a joy to listen to. Bart Ehrman's lectures are simply wonderful. Throughout his talks, he is clear and precise. Plenty of specific examples and verses are given. In all, the whole presentation was very eye-opening to me, a former member of the Jehovah's Witnesses. To be given such a clear and direct historical overview of the New Testament is incredibly refreshing. Lectures very well done, but 90% of this is presented in a just as thorough and more polished and efficient form in the author'a book, Jesus Interrupted. Except for one passage discussing the 4 types of ancient Jewish religious sects, all is covered in Jesus Interrupted EXCEPT (and why you should still buy these lectures), a detailed description of Paul and his writings and role in the decelopment of Xianity (as the author admittedly overly simplifies as changing the bible from a story about Jesus to the story OF Jesus). So for all things Paul, these lectures provide a comprehensive overview. 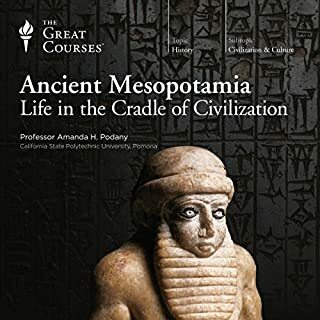 Overall, I love that the author knows all of this is b.s., but still takes the topic seriously interms of detail and scholarship. 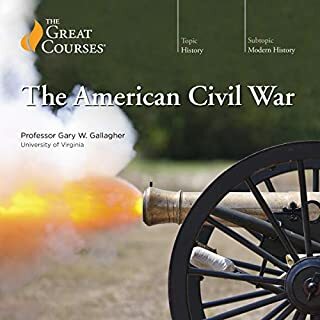 ** I should not that the supplementary materials did not download and audible after 6 days has not responded to my email about it. 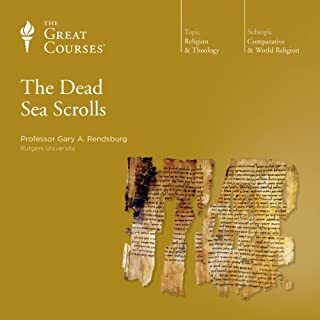 A lecture course about the New Testament may sound a bit dry, but in the hands of Professor Ehrman it is the audiobook equivalent of a page-turner. This course is history not theology and would work equally well for Christians and non-Christians. 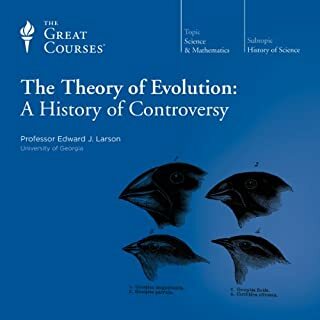 The lectures progress through the New Testament discussing the historical basis and relevance of the material; for more detail on the content I recommend looking at the Great Courses website which has a list of lecture titles. 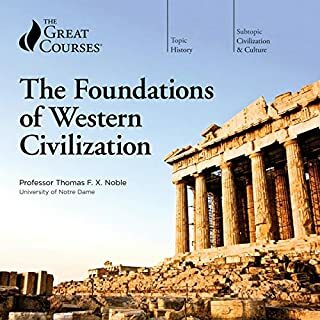 My interest in the bible is as a cultural and historical source, and I found the insights provided by these lectures absolutely fascinating. 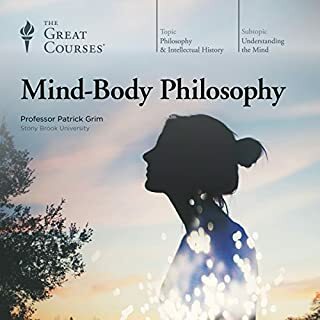 I cannot recommend this course highly enough. 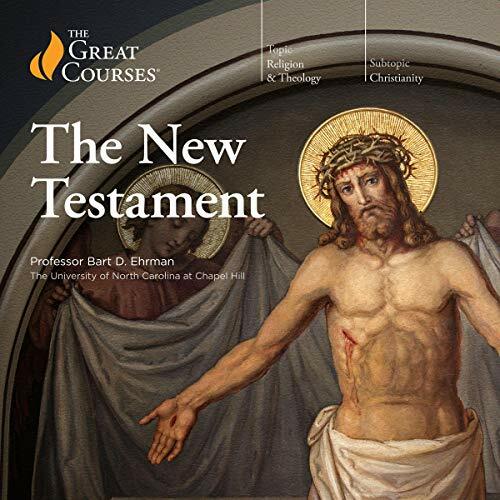 One final point -- there is another Great Courses lecture series called "Great Figures of the New Testament" which has a slightly different focus but if you are deciding between the two I strongly recommend Professor Ehrman's course. Would you try another book written by The Great Courses and Bart D. Ehrman or narrated by Professor Bart D. Ehrman? 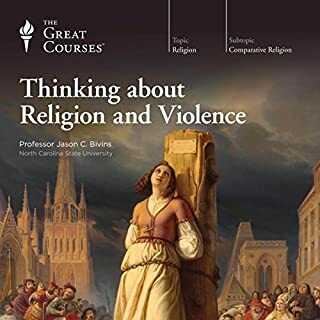 Christians Beware: this course is given by an atheist looking to dismiss the Christian message.Professor Ehrman's atheism may distress some Christian readers but he is a respected scholar and for those with a strong faith there is some content the robust believer will find helpful. One wonders who else might be interested, in fact. Why would an agnostic or atheist waste their time on such an in-depth study of the New Testament? Ehrman presents his own arguments clearly but does not really consider many of the alternatives to his viewpoint. He implies that Christianity chooses to overlook many of his challenges whereas they have been tackled often over the centuries. For example, Pope Benedict XVI's books 'Jesus of Nazareth' deal with the inconsistencies in the resurrection narratives. Differing accounts from various reporters are hardly proof of falsehood and who would expect the evangelists to be neutral in their portrayal of events when objectivity eludes most historians! For all but the most ardent of biblical fundamentalists this is hardly an impediment to faith. Bart is great at presenting his work. I appreciate his timing and emphasis...It’s a large body of information based upon a seemingly dull subject but, as always he presents information that brings the subject to life. Was sad to hear it end and look forward to listening to another of his books. Listen, learn and enjoy ! I bought this after reading Ehrman's recent book, "The Triumph of Christianity", and really enjoyed his unique perspective. Every lecture on this course was packed full of information, but never felt over-loaded. 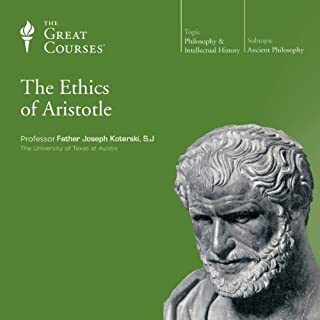 I have a library full of Great Courses audiobooks, and this is among the best!